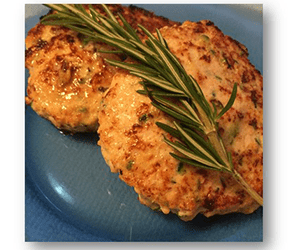 Try making these beautiful Chicken and Zucchini Burgers to start off the season. They are bursting with flavour and oh-so-juicy! Feel free to nestle them between a bun or lettuce and add a side of fresh greens. In a large bowl, whisk together egg and tamari. Form 6-8 patties, depending on the size of burger you prefer. Grill for 10-13 minutes or until cooked through, flipping once.